Home » Vocal Range » How To Find Your Tessitura Voice? Tessitura, in music, is defined as the range within which a voice, or a musical instruments sounds best. It is the most comfortable range in which a voice produces its top quality. As a singer, it is crucial to find your tessitura so that you can sing well without much strain. Should I Classify My Voice Type? Tessitura is a better determinant of voice type because range alone will not show where a voice sounds best. Therefore, for you to correctly make out your voice type, you will have to focus on vocal tessitura and timbre. In a vocal range test, you have to go beyond knowing your highest and lowest notes. Because vocal notes are subject to alteration, finding your comfortable singing range (Tessitura) is more important than knowing your lowest & hight notes you can hit. As a singer, you might learn a role, but when you sing it, you can’t bring out the best voice in that song, because the basic tessitura of that role does not suit you at all. Once you have identified your vocal range, you can find your Tessitura by singing different songs that are within your vocal range and identify the song that you can sing better easily. Study the vocal range and notes of that song; I’m sure you will find more specific minor vocal ranges and notes that constitute your Tessitura voice. The volume in which you can sustain quality is an important determinant of the tessitura that you will choose. Once you know your tessitura well, it is easy to sing the highest quality because you will choose what suits your “fach” (voice type) and range (tessitura). Every song has its defining parts that stand out. You can make an impressive performance if you can bring out this parts so well and knowledge of Tessitura comes in handy here. If you want to sing at your best, give yourself the freedom of tweaking the keys of the most important parts of a song such as bridges and choruses so that they match with your tessitura (the strongest part of your singing voice). The performance is more meaningful if the singer puts emphasis on the defining parts of a song, so you have to make sure that these parts are sung within a range that is most comfortable and powerful for you. In the classification of voices, it’s very crucial for a choral singer to identify his/her voice type based on their vocal range. 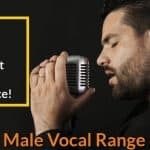 For solo singers, the voice classification is based on the range the singer can sing comfortable and produces the best tone most of the time. Opera singers are the ones who need vocal classification most since they have roles assigned to them depending on their voice types. In many singers, I have seen singers trying to perform roles that do not fit their voices often because they get carried away on stage and want to give their audience something better. However, the attempt to sing high or low tessitura beyond the comfortable range for a musician always gives disappointing outcomes. Most singers have the notion that some voice types are more desirable, and they go to lengths to try and bring out what they cannot offer. Music is constantly evolving. In modern day singing, less attention is given to voice classification. The reason could be that the contemporary singers are not trained in the typical musical techniques. It is common for today’s singers to sing out of the voices’ natural abilities and in pitches that do not match their voice types. The famous genres in the world today include jazz, pop and rock; which are not so much affected by voice classification. However, we cannot ignore the risk that is imposed on the natural vocal instruments of the singers by constantly singing out of their ranges. You can also argue that the contemporary pop and rock require that kind of “extreme” singing to succeed, but one thing that I will insist is that voice classification helps any singer to perform better. 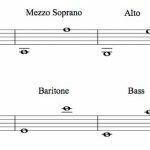 Knowing whether you are a bass-baritone, or a soprano could seem to be of little importance in the singing of some genres, but it matters a great deal. 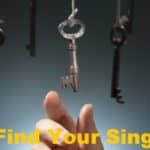 Knowing your voice type will enable you to sing within your capabilities and to avoid singing keys that expose your vocal weaknesses but rather capitalize on your strengths. We all appreciate the flexibility of contemporary music. Now, everyone can sing without having to take music classes and mastering the G and F clefs. However, opera singing needed to pays attention to all the aspects of the voice to decide on which role a singer can comfortably take up. Therefore, in the writing of original songs, the abilities of the lead singer such as their tessitura, should be taken into consideration in terms of songwriting and composition. In doing a contemporary cover song, it is acceptable to apply transposition at many points that the singer considers as suitable but for operatic singing, the original keys and voice classification ought to be retained. 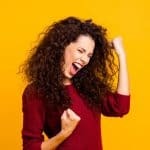 In contemporary singing, no single voice is more preferred, but instead, people expect a unique performance every time so as a singer, you can always try out different singing styles and expect a warm reception from your audience. Even as songs evolve and singers get bolder in their performances, it is always good to find your tessitura if you want to be a famous singer. Should I use my Tessitura voice to identify the songs that most suitable for me. Can I go beyond that? Yes, Ken. You should select the songs based on your Tessitura range. It’s the range you will perform the best. However, you can try to handle some songs that out of your Tessitura range occasionally once your vocal range expanded. I can hit G 5 easily but singing low is much more comfortable (and the quality of the sound is better too). How can I know if I have high Tessitura?